Pain and suffering are inseparably linked with pleasure, according to St Maximus the Confessor’s analysis. Pleasure brought pain, and overcoming suffering and pain cures pleasure. Thus pain, according to Orthodox teaching, is beneficial for humankind. According to St Gregory Palamas, all suffering and trials “collaborate for salvation”, and are sometimes “better than health itself”. A society that banishes pain and strives for continuous happiness (eudaimonia) in incapable of helping people to be saved through faith, patience, tolerance and prayer. Pain is a new revelation in history that came about through Christ. Through His self-emptying, through assuming a perishable and mortal body, and through His Passion and His Cross, Christ showed us a new dimension to our life, which is an expression of love for our neighbor. Man is made perfect through suffering and sacrifice. With regard to biomedical research, the Orthodox Church accepts three things. First, that bioethics and the international organizations, for the good of humankind, should set limits to contemporary research, which could get out of control. Secondly, it wants the science of bioethics and doctors to take seriously into account the theological principles that are the life of the Church, and at least to respect the Christian faith. Thirdly, it wishes to stress that the value of human beings does not lie solely in their birth, but in their rebirth, when they find a meaning to life, because then they rejoice in their own biological birth and in the whole creation. 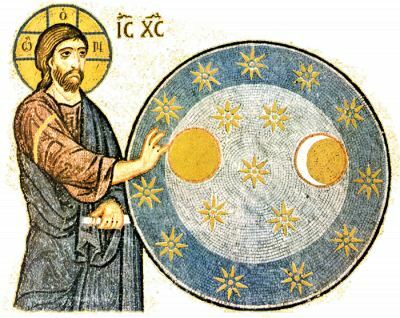 It should be emphasised that even the very best conditions – springtime, physical well-being, material happiness, economic sufficiency, various kinds of prosperity, and social and scientific success – without a meaning to life, without the God-man Christ, Who is experienced in the Church by participation in the purifying, illuminating and deifying energy of God, are hell.